As I first reported in September 2017, 48 Clinton St. between Stanton and Rivington was on the sales market — with air rights that could potentially redevelop the property up to 10,000 square feet for a mixed-use development. Lois Weiss at the Post reported this past Saturday that No. 48 has a new owner. Weiss also reported that this property will be "the first in Manhattan to be sold to a Qualified Opportunity Fund in an Opportunity Zone." Since the new U.S. law designated such zones across the country, the pool of buyers for these properties has widened to more than just real-estate investors seeking 1031 tax-free exchange purchases. According to Anchin CPAs’ Marc Wieder and Jeffrey Bowden, any seller of a home, apartment, stock, collectible, art or business is able to roll their gains into an Opportunity Zone project. Over time, such an investment allows investors to both step up the tax basis on the gain and defer the taxes. Dr. Arani Bose, co-founder of the medical device company Penumbra, paid $5.4 million and reportedly intends to redevelop the building for his private foundation. No. 48 was once home to LoHo Studios, which an array of artists such as Joey Ramone, Willie Nelson, Phish, Patti Smith and Joan Jett have used for recording. No. 48 was one of two local properties previously owned by entities of the Blue Man Group. The other, 238-240 E. Third St. between Avenue B and Avenue C, is being developed into a 7-floor residential building. 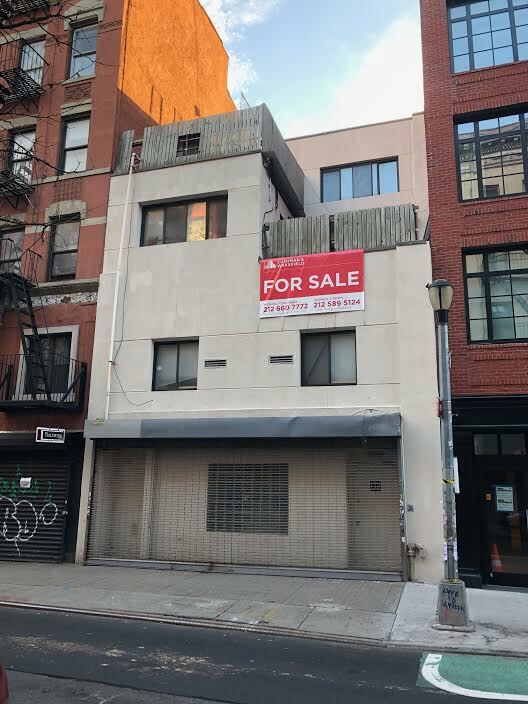 Meanwhile, there's another Opportunity Zone property for sale in the neighborhood — 347 E. Fourth St. between Avenue C and Avenue D. That three-story building has been on the market for $3.5 million.